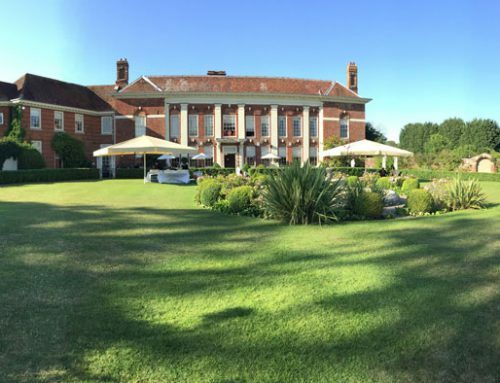 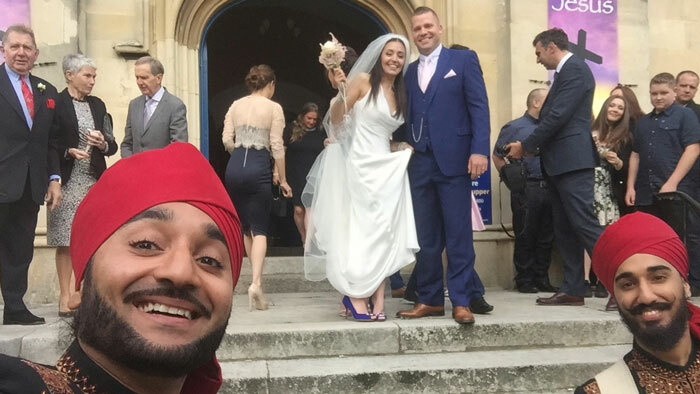 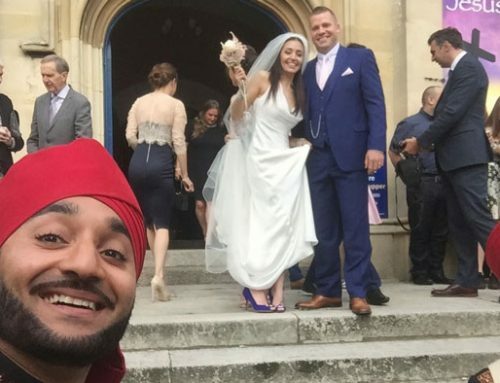 Wedding Guests gathered in the beautiful gardens of Beaumont house, Windsor, on what was a bright Saturday afternoon, as they awaited the arrival of the bride and groom, Parminder and Karandeep. 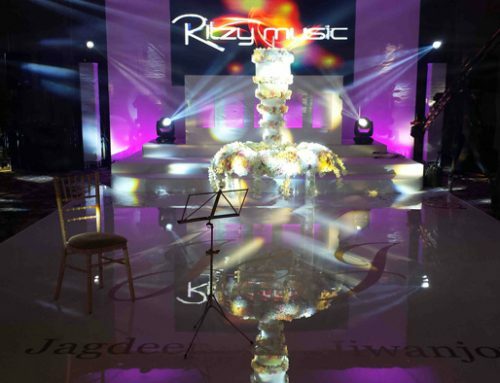 Guests were seated in the elegantly decorated, candle-lit reception room during which they enjoyed tasty starters courtesy of Premier Rouge catering. 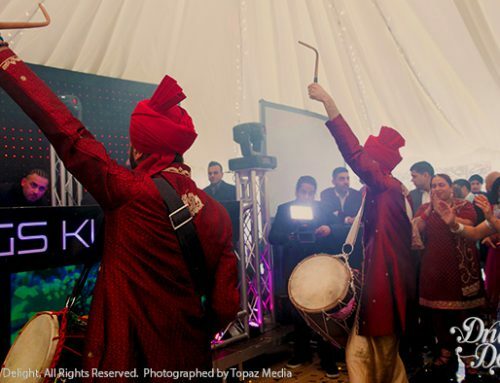 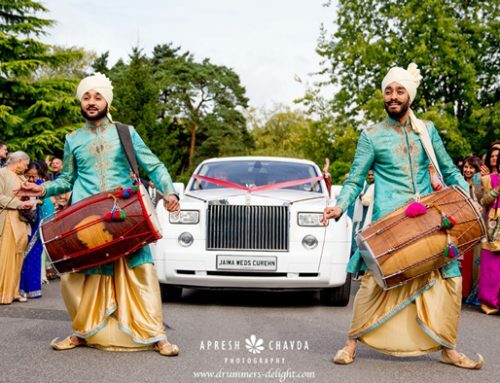 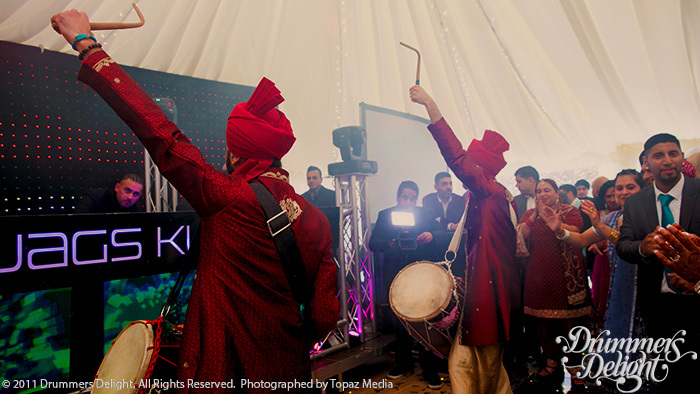 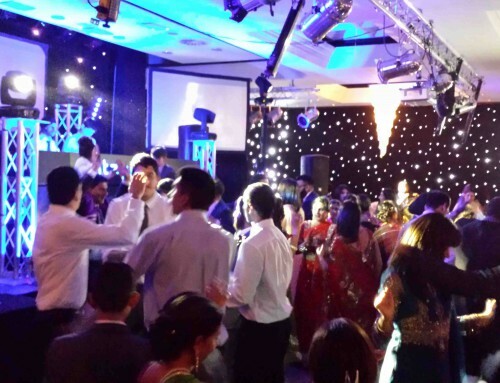 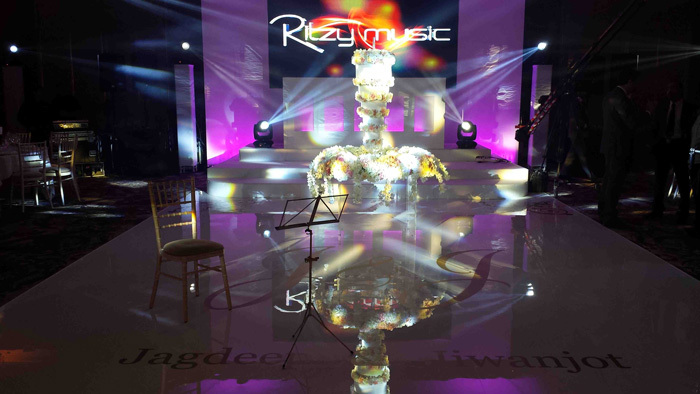 The couple made their ‘Grand Entrance’ which was fantastic: an absolutely euphoric visual display was created by the venue uplighting (Showcase Technologies) and coupled with the sound of the drums, the guests were cheering and applauding in what was an electric atmosphere! 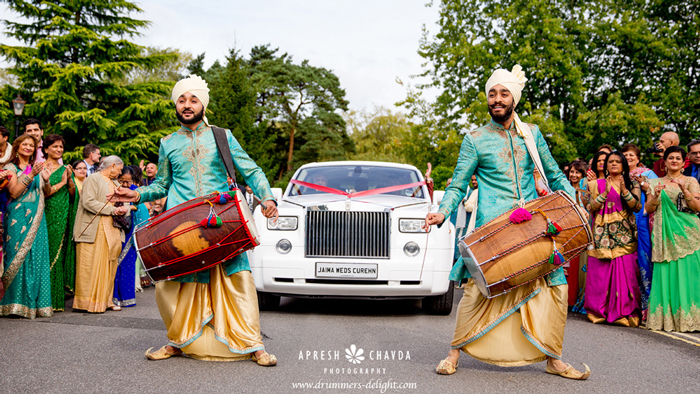 The wedding camera crew included Perfect Frame, J Dhillon Photography and Ranvir Jagdev, who were capturing every moment of the Parminder and Karandeep’s first dance, after which we did our ‘Start The Night’ performance. 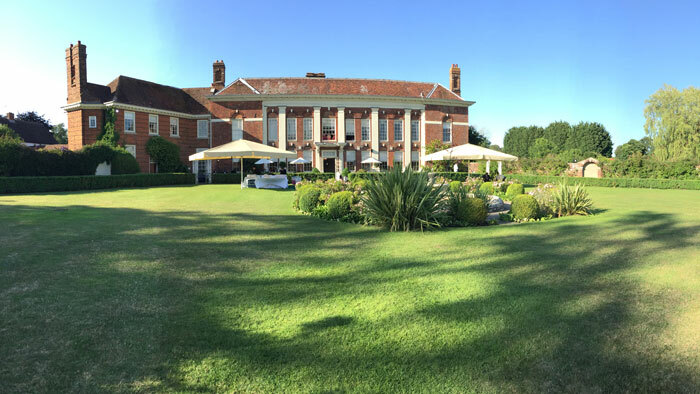 It was great to perform for such a lively crowd which including our industry friends who had the day off to enjoy this lovely day. 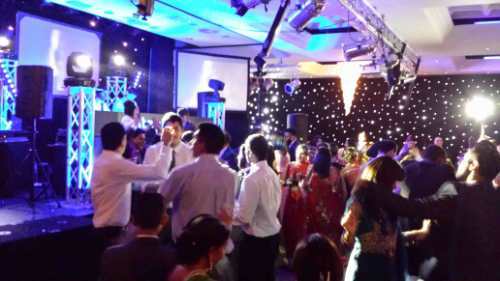 I think the most memorable part of the entertainment for us was the Bassline: DJ H Boss from Ritzy Music installed a whopping 10 Bass Bin speakers and this truly rumbled the dancefloor. 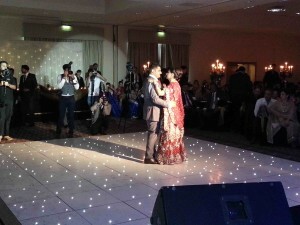 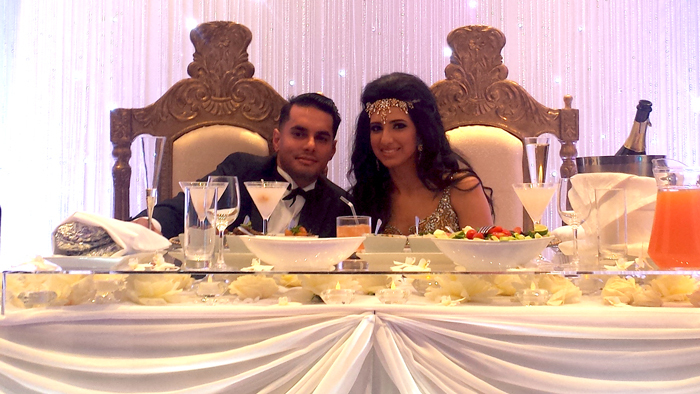 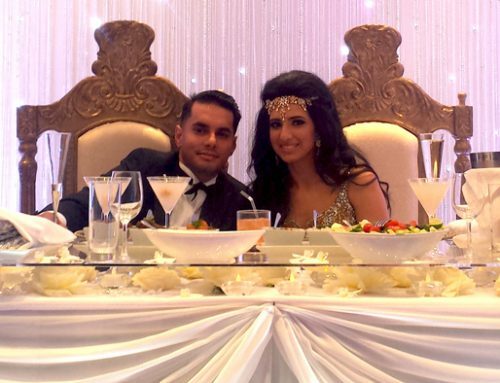 A Great party; Congratulations Parminder and Karandeep!